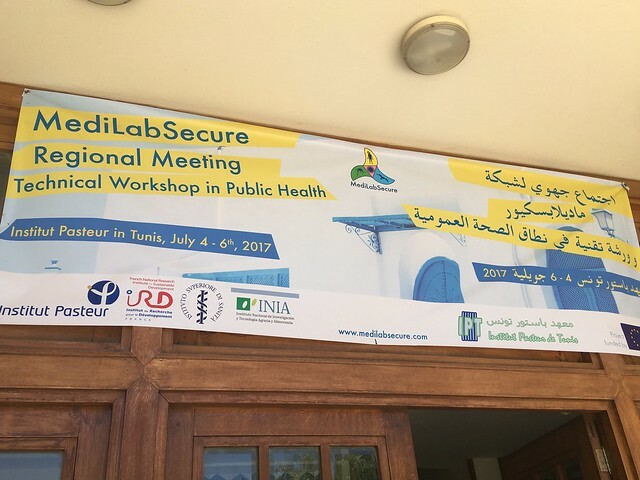 The second Regional Meeting and technical workshop in public health of the MediLabSecure project was held from July 4th to 6th 2017 at the Institut Pasteur in Tunis, Tunisia. This multi-disciplinary meeting addressed clinical, entomological, epidemiological, diagnostic as well as human and animal health aspects of Rift Valley fever (RVF) virus, which has been identified as a priority in this Region. This regional meeting was also an opportunity to discuss current and common public health issues. For example, an update session about Middle Eastern Respiratory Syndrome coronavirus was scheduled. A panel of international specialists were invited to give presentations on these topics. Transversal sessions and group activities on topics such as vector control and biorisk management was also held. 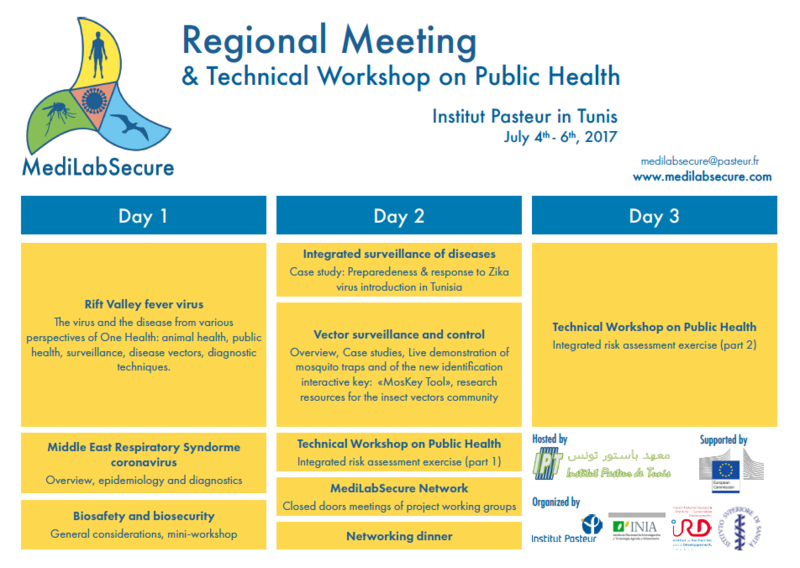 To make the most out of this gathering from the Network representatives, the third MediLabSecure technical workshop on Public Health was embedded into this regional meeting, and focussed on RVF risk assessment. This rapid risk assessment exercise was carried out in a multisectoral manner with representatives of animal health, human health and public health institutions as well as medical entomologists involved. Countries represented during this meeting were Algeria, Egypt, Jordan, Lebanon, Libya, Morocco, Palestine and Tunisia. Presentations given during this meeting have been recorded. 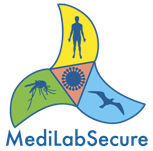 They are available on the MediLabSecure's Vimeo page and by clicking on the links below. - Hechmi LOUZIR, Institut Pasteur in Tunis, Tunisia: "Foreword"
- Lobna GAAYEB, Institut Pasteur, France: "MediLabSecure Project Overview"
- Rachid BOUGUEDOUR, OIE Sub-Regional Representation for North Africa, Tunisia: "Session opening"
- Mohammed BENGOUMI, FAO Sub-Regional Office for North Africa, Tunisia: "Session opening"
- Gamou FALL, Institut Pasteur de Dakar, Sénégal: "Molecular epidemiology of Rift Valley fever in West Africa"
- Alison Lubisi, ARC-Onserstepoort Veterinary Institute, South Africa: "Experimental infection of pregnant sows with RVF virus"
- Selma MEJRI, Institut de la Recherche Vétérinaire de Tunisie, Tunisia: "Identification of Areas Suitable for the Occurrence of RVF in Tunisia"
- Mawlouth DIALLO, Institut Pasteur de Dakar, Sénégal: "Rift Valley Fever: An emerging mosquito born virus"
- Federica MONACO, Istituto Zooprofilattico Sperimentale (IZS) dell'Abruzzo e del Molise (IZSAM), Italy: "The diagnostic approach to RVF: Lessons learned from the field"
- Jean-Claude MANUGUERRA, Institut Pasteur, France: "New coronaviruses : What next?" - Guillain MIKATY, Institut Pasteur, France: "MERS-CoV, human diagnostics"
- Maria Grazia DENTE, Istituto Superiore di Sanita (ISS), Italy: "Strengthening preparedness to arbovirus infections in Mediterranean and Black Sea Countries: The MediLabSecure studies on integrated surveillance"
- Souha BOUGATEF, Observatoire National des Maladies Nouvelles et Emergentes (ONMNE), Tunisia: "Implementation of the West Nile integrated surveillance system in Tunisia"
- Vincent ROBERT, Institut de Recherche pour le Développement (IRD), France: "Vector control: Generalities"
- Frédéric SIMARD, Institut de Recherche pour le Développement (IRD), France: "Mosquito control: Update"
- Ali BOUATTOUR, Institut Pasteur in Tunis, Tunisia, "Case studies: Mosquito surveillance and control in Tunisia"
- Majeda ARBAJI, Ministry of Health, Jordan: "The Asian Tiger Mosquitoes: First report from Jordan and the increased risk of arboviruses transmission and emergence"
- Nabil HADDAD, Lebanese University, Lebanon: "Vectors and Vector-borne diseases in Lebanon"
- Filiz GÜNAY, Hacettepe University, Turkey: "Introduction to MosKeyTool: A computer-aided mosquito identification key"
- Frédéric SIMARD, Institut de Recherche pour le Développement (IRD), France: "InfraVec2: Research infrastructures for the control of insect vector-borne diseases"
- Paolo CALISTRI, Istituto Zooprofilattico Sperimentale (IZS) dell'Abruzzo e del Molise (IZSAM), Italy: "A rapid risk assessment framework"
- Bertrand SUDRE, European Centre for Disease Prevention and Control (ECDC): "ECDC Risk assessment: Aims and methodology"
MediLabSecure Regional Meeting #2, Tunis, July 2017 from MediLabSecure on Vimeo. 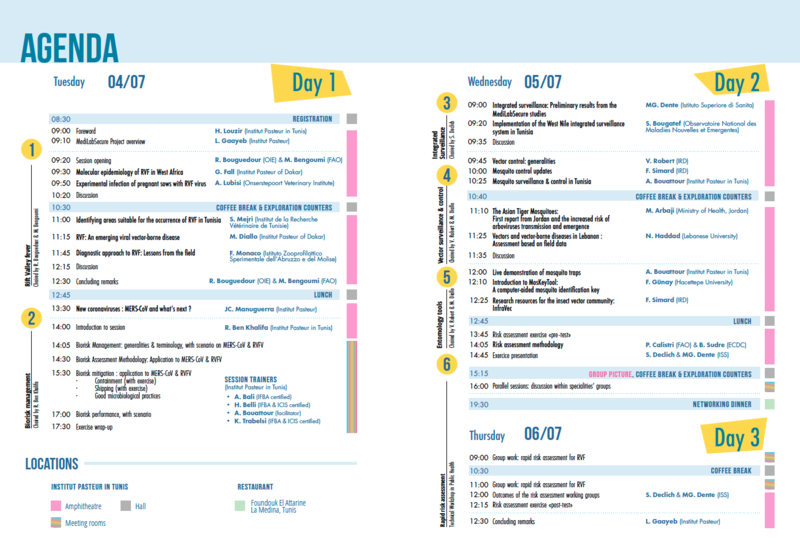 To enhance networking and intersectoral exchanges during the meeting, we have scheduled two exploration counters during the coffee and lunch breaks. 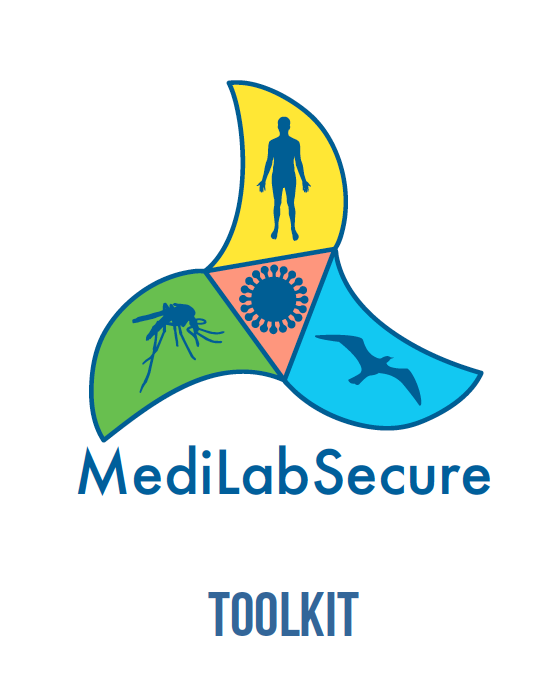 The first was dedicated to the MediLabSecure-developed mosquito identification tool for species of the Euro-Mediterranean area: MosKeytool, that you can discover and download here. 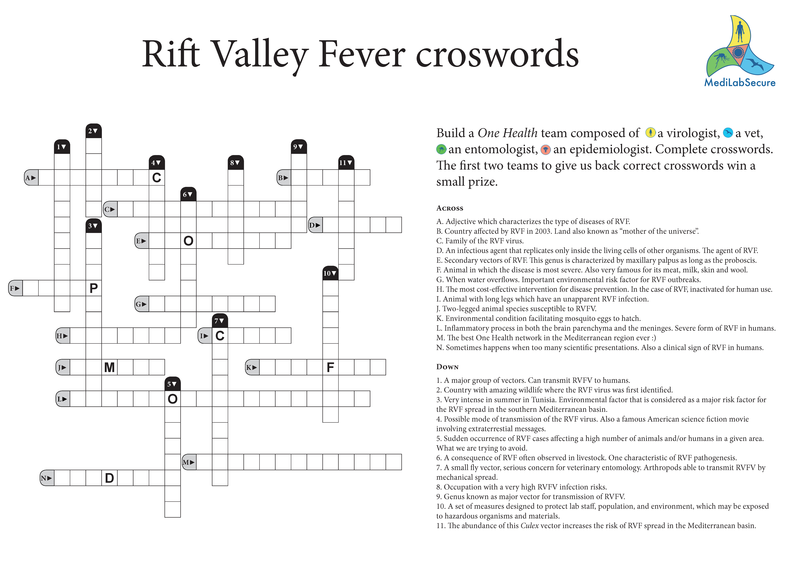 The second counter consisted in a thematic crossword game, for which the rule was to form "One Health" teams to complete the quizz collaboratively. You can download and form your own One Health team to complete the quizz! A toolkit containing mosquito factsheets was handed to all participants. More factsheets are being developed and will be distributed throughout the network to support bench and field work. 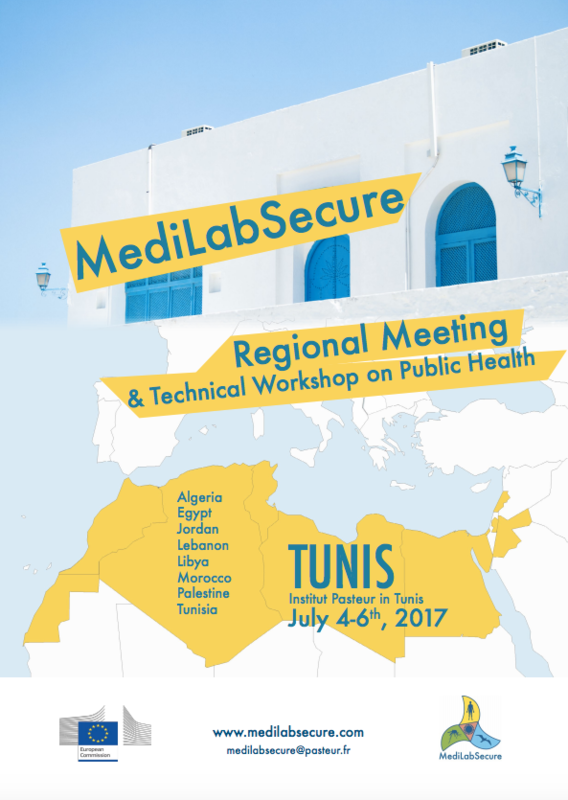 Two regional meetings & technical workshops in Public Health have been held so far in the MediLabSecure network. The first regional meeting, held in Serbia in November 2016, involved 11 countries from the Balkans, the Black Sea and Turkey, and focused on Crimean Congo hemorrhagic fever. 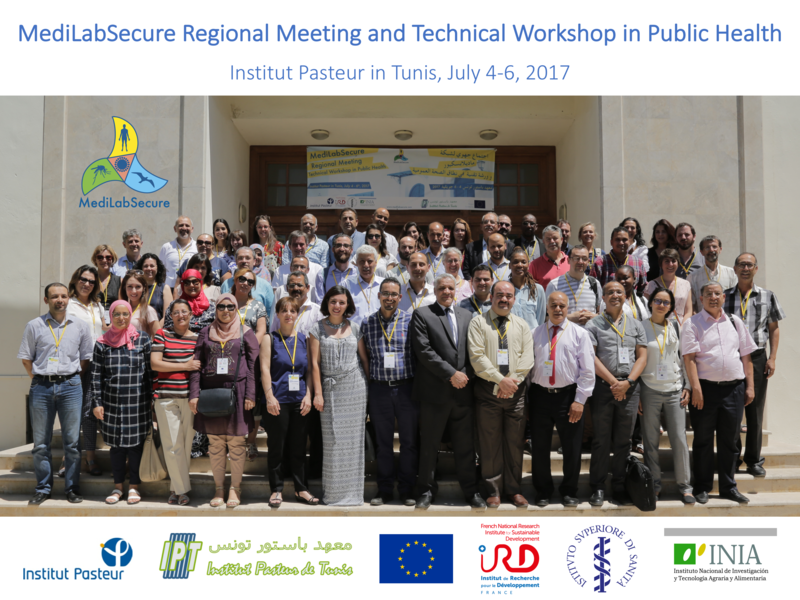 The second regional meeting was held in Tunis in July 2017 and involved 8 countries from North Africa and the Middle East, and focused on Rift Valley fever.